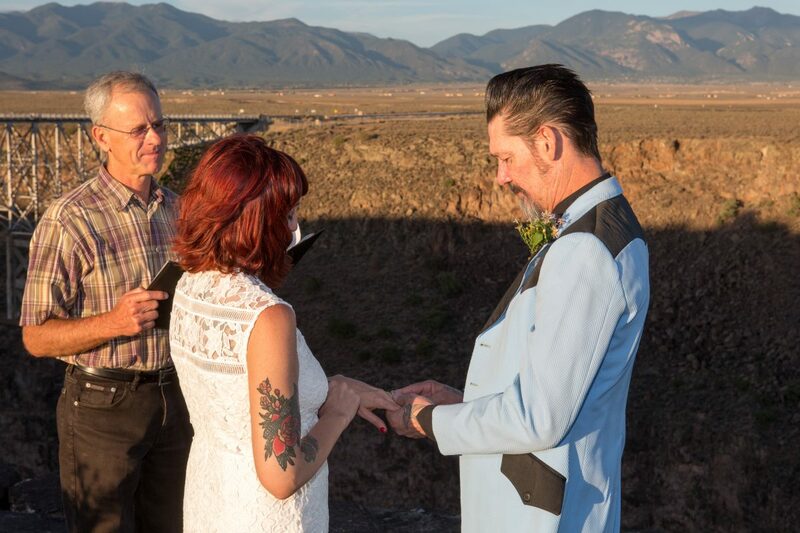 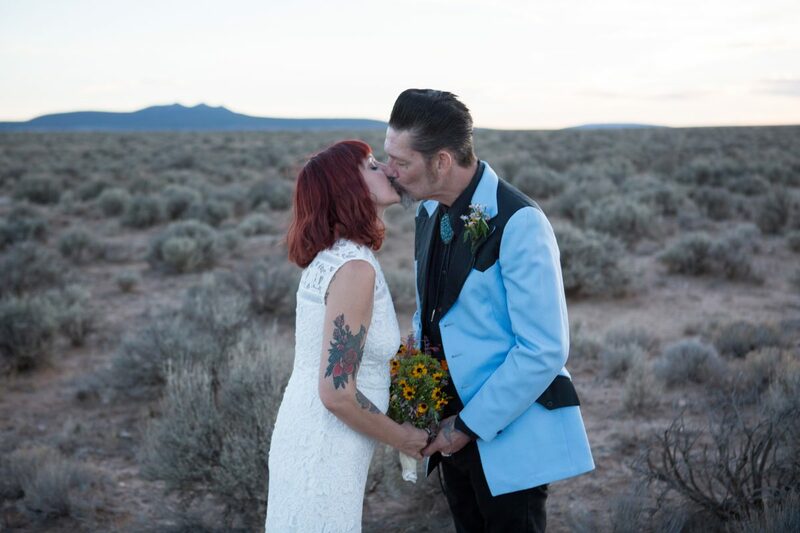 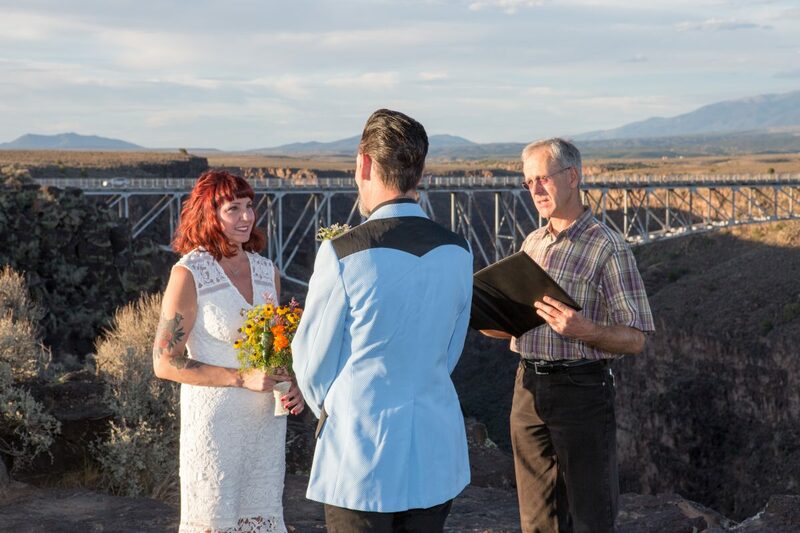 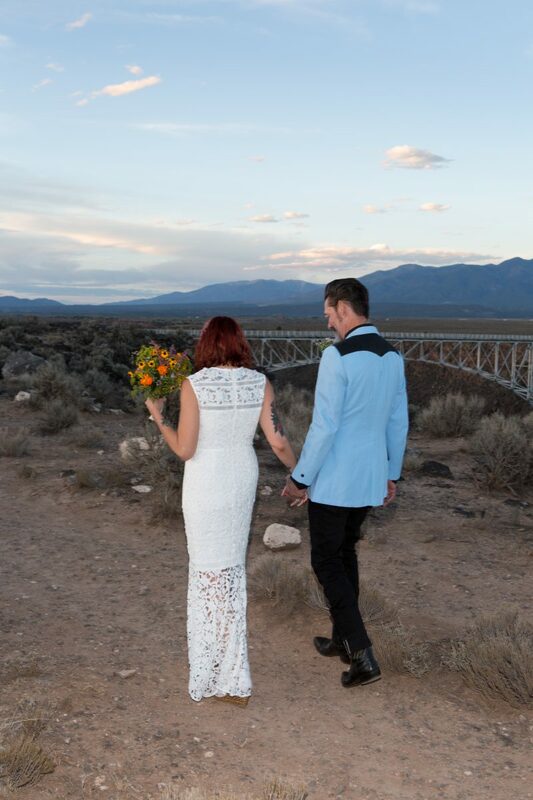 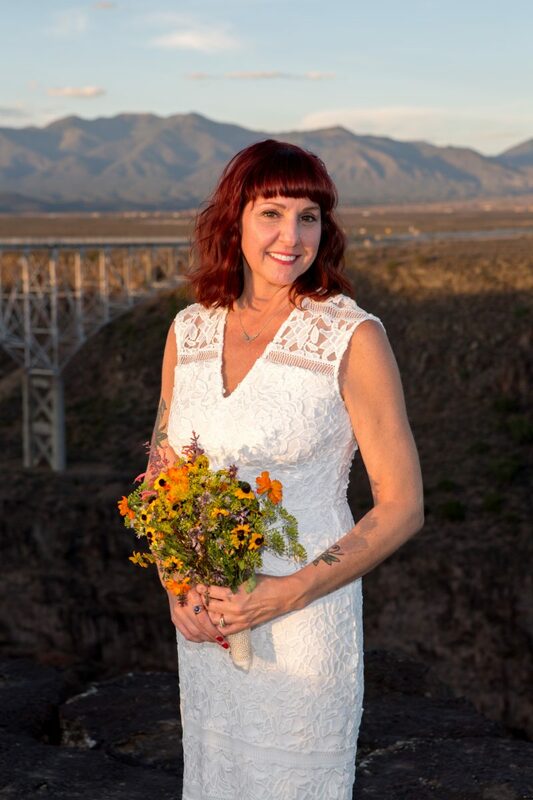 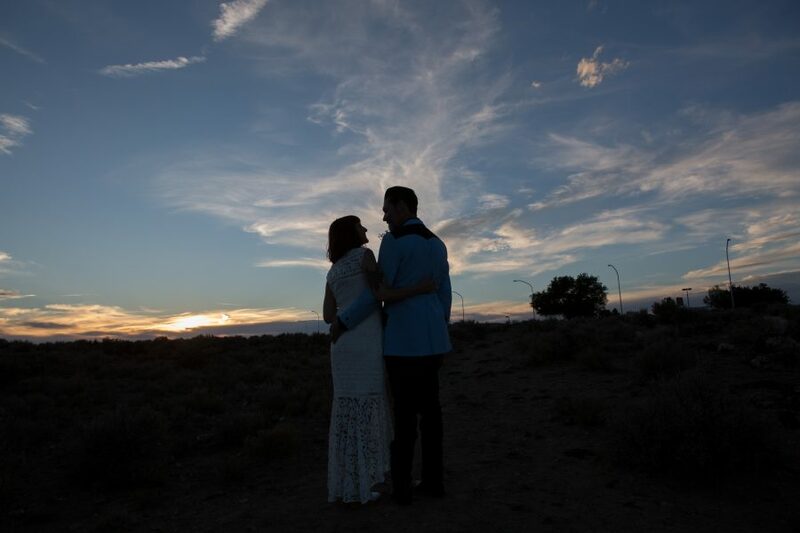 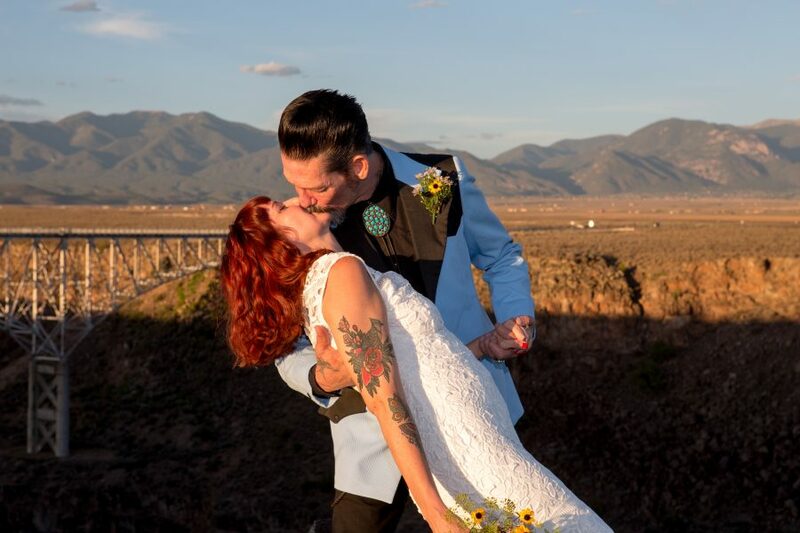 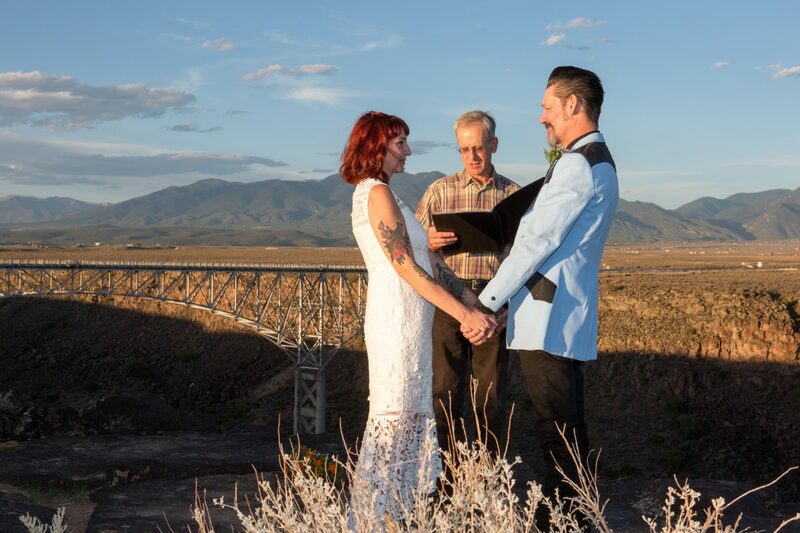 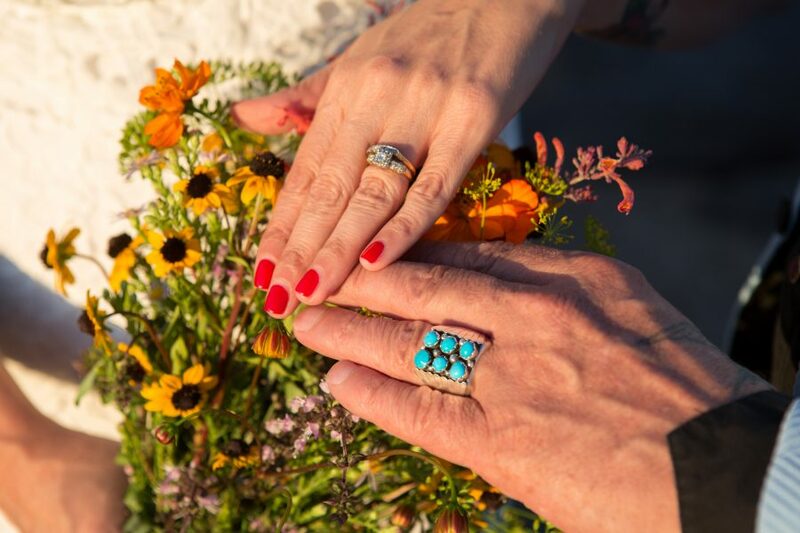 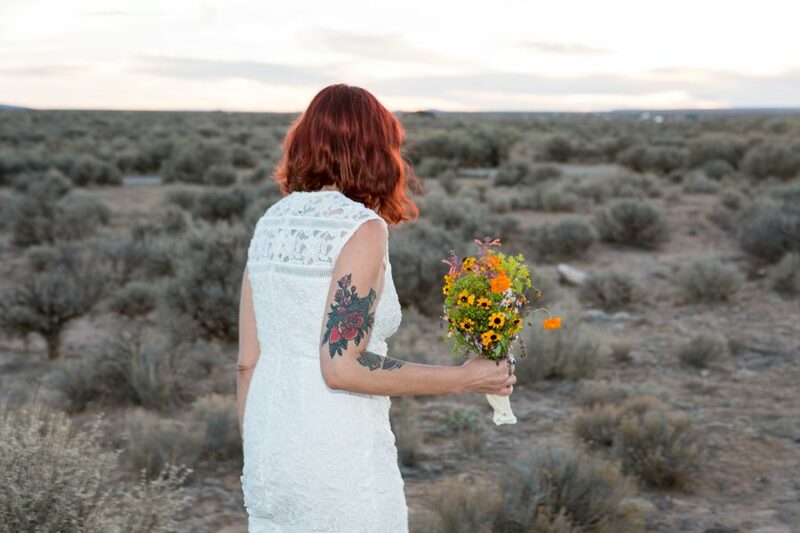 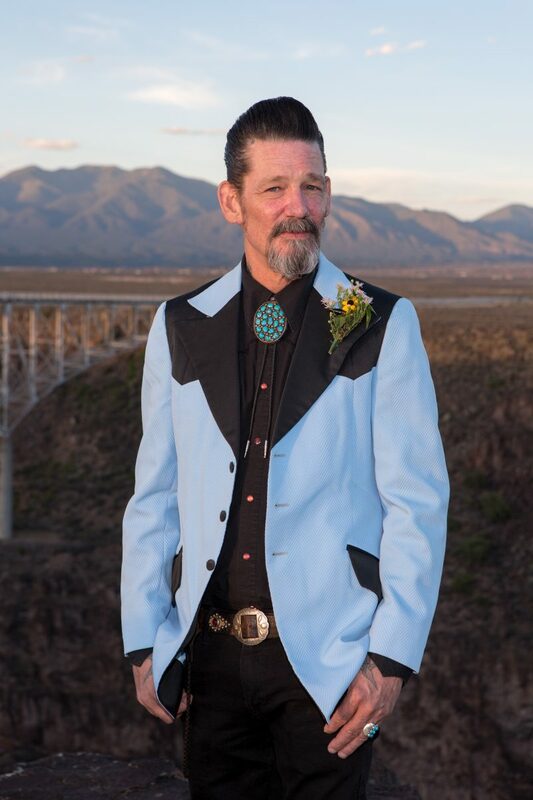 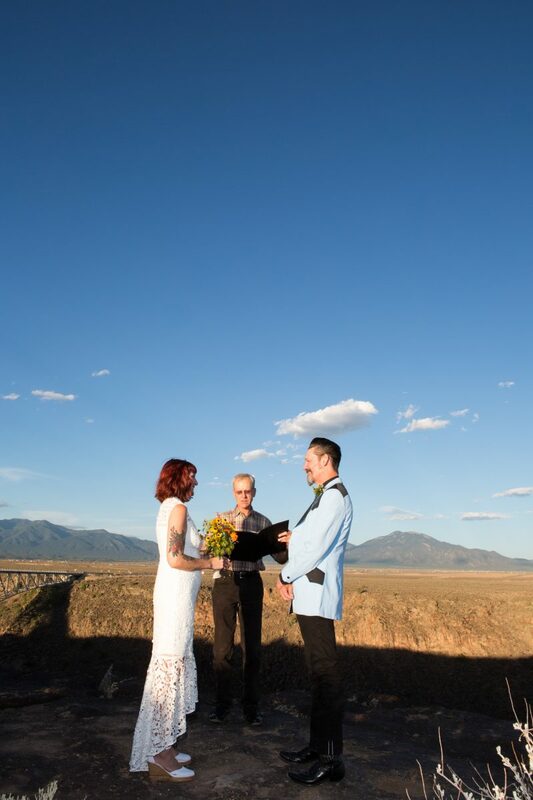 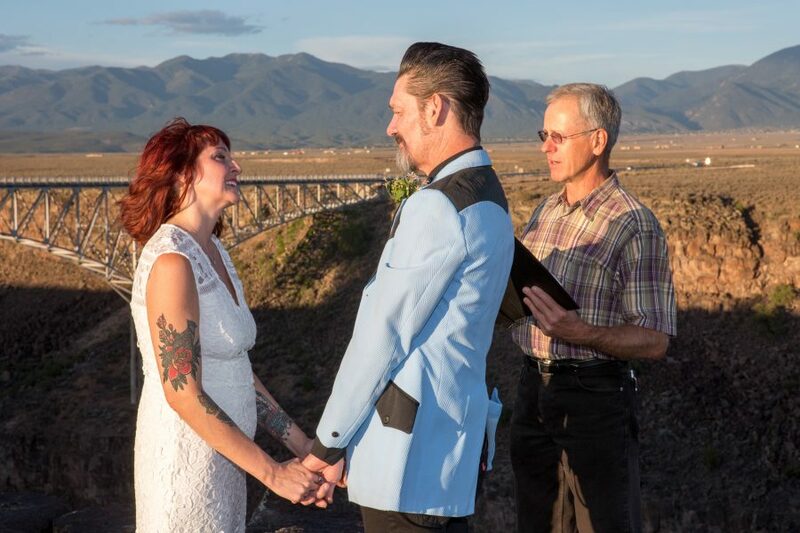 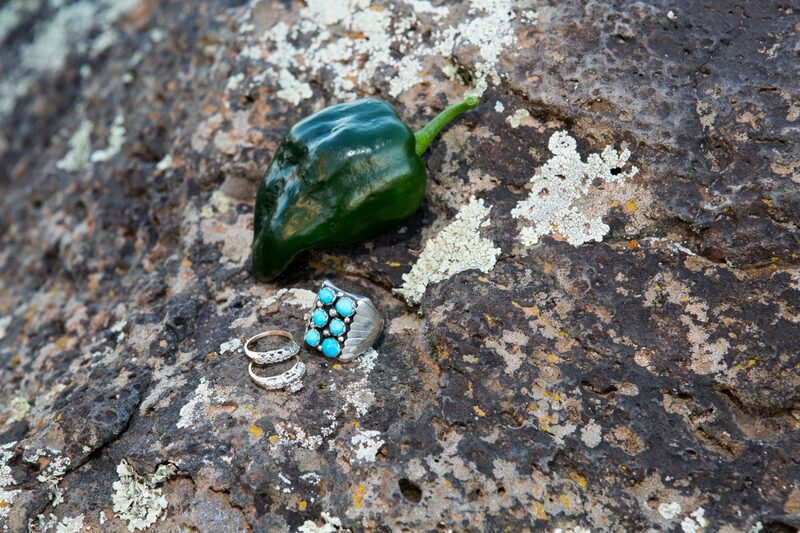 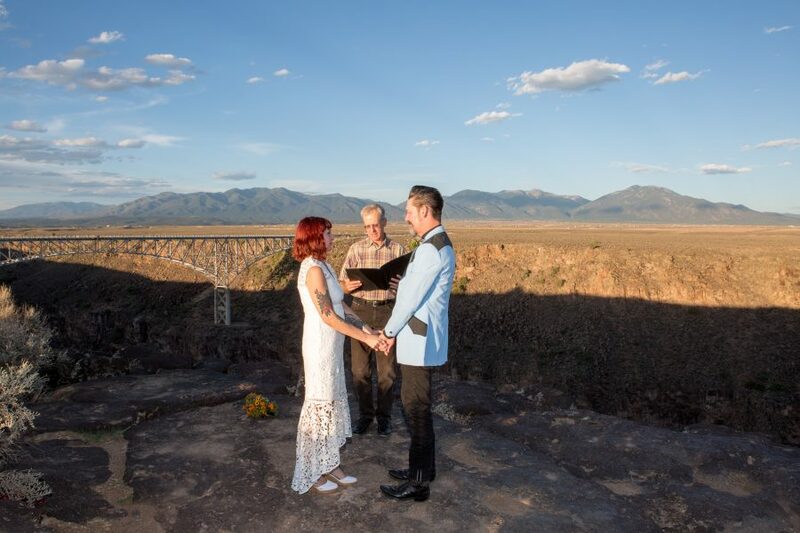 This photogenic couple came all the way from New Orleans to Taos, NM to elope! 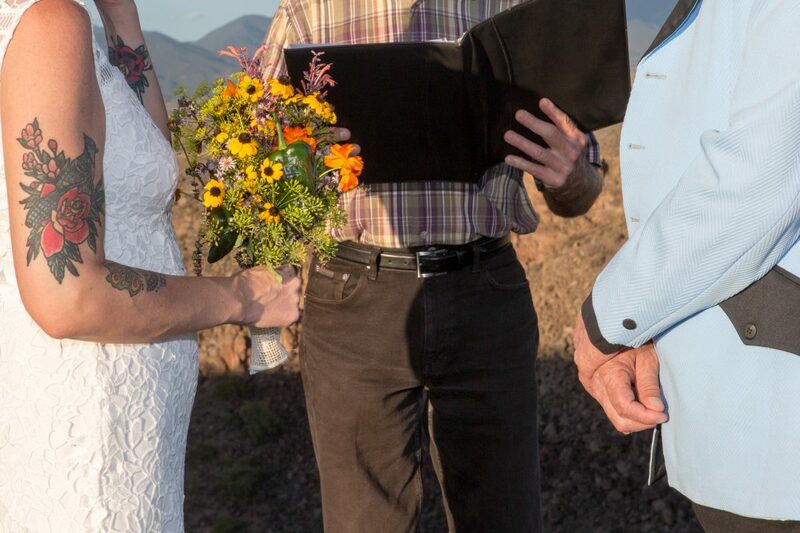 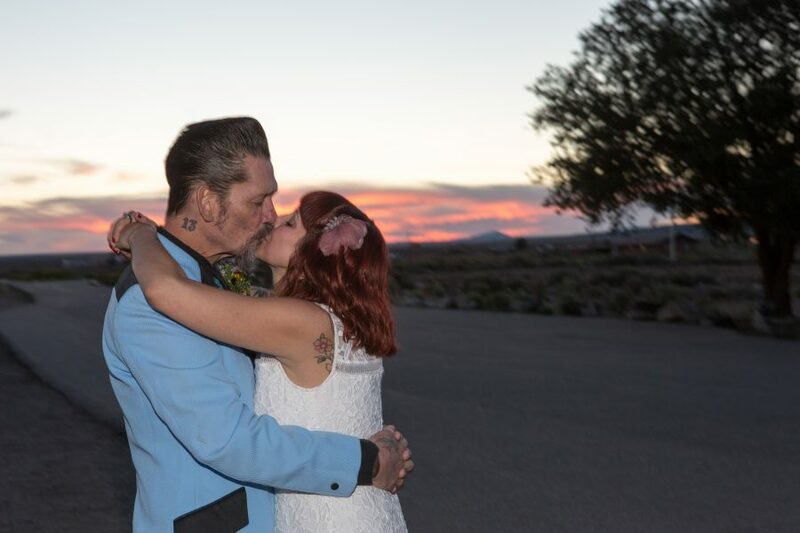 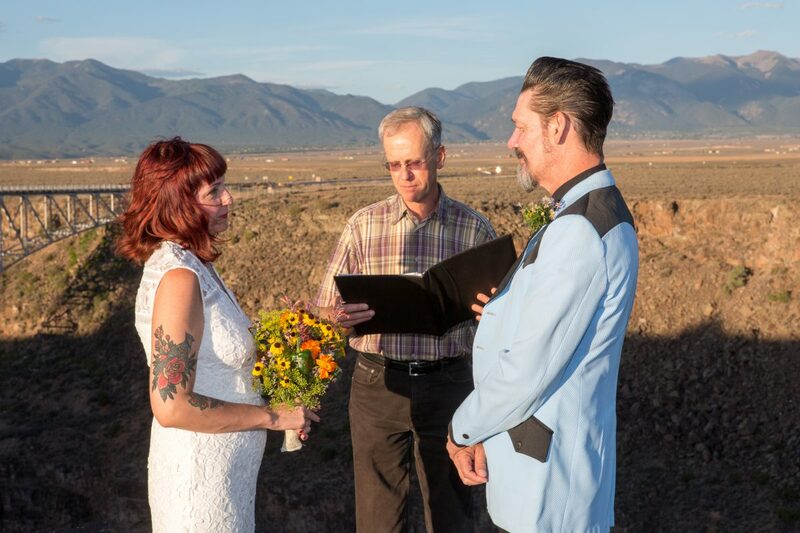 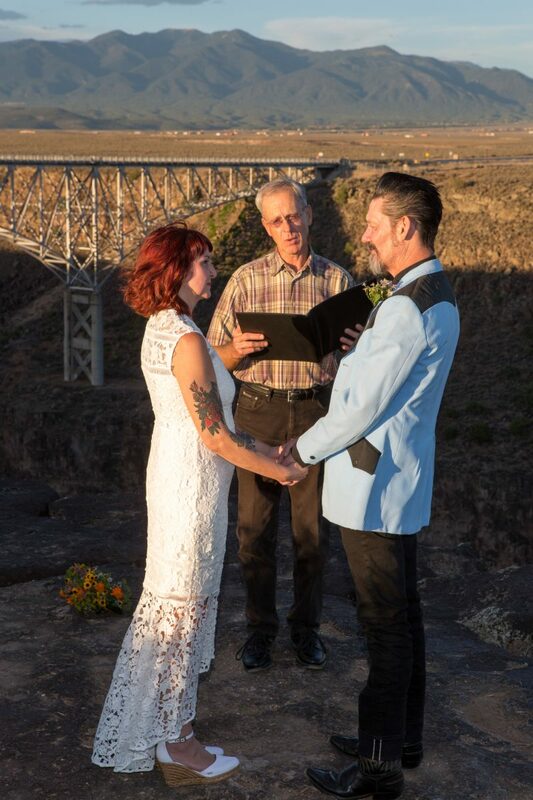 The light was absolutely perfect for the wedding ceremony which was officiated by Dan Jones of Embracing Ceremony. 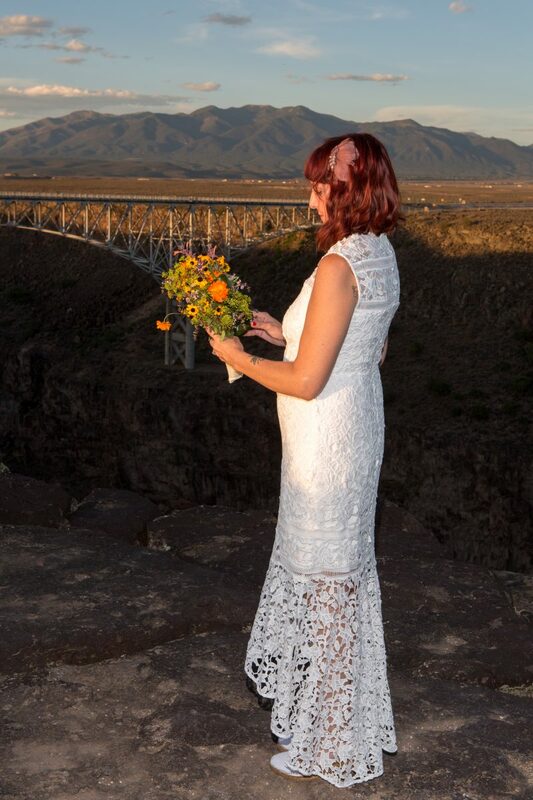 There was a light breeze and it was so quiet on the mesa as it was a Wednesday evening and not a lot of hikers were about. 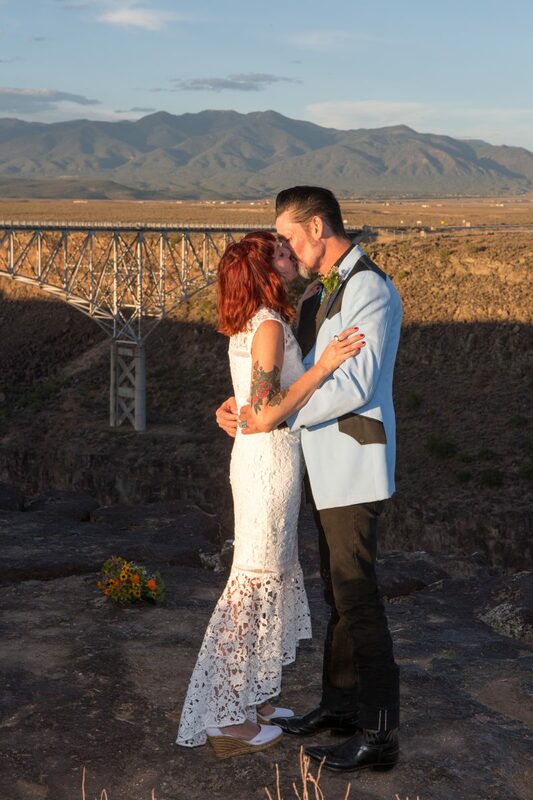 The groom (a tattoo artist!) 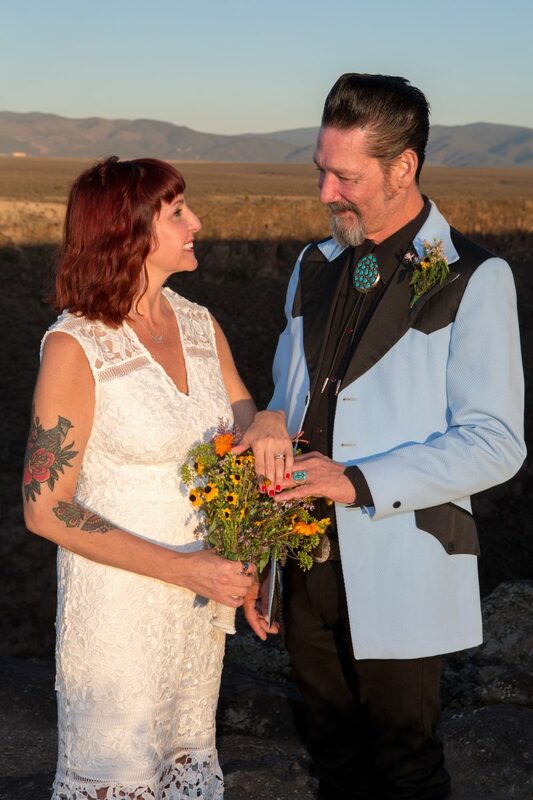 requested a green pepper in the bride’s bouquet, and there were two! 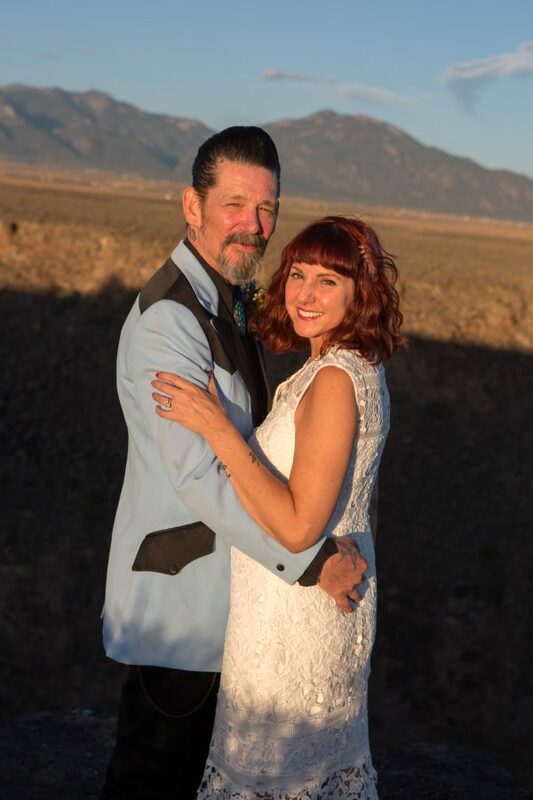 Congratulations to Denise and Walter and many more happy journeys.